One of the most enduring characters from The Hitchhiker’s Guide to the Galaxy, the sci-fi comedy radio series that inspired a spin-off videogame and many developers besides, is Slartibartfast. Slartibartfast is a planet designer involved in the creation of Earth – specifically Norway’s fjords, which he argues bring a lovely baroque feel to a continent. The Parisian developers at Darewise are his successors since they’re planet designers too. 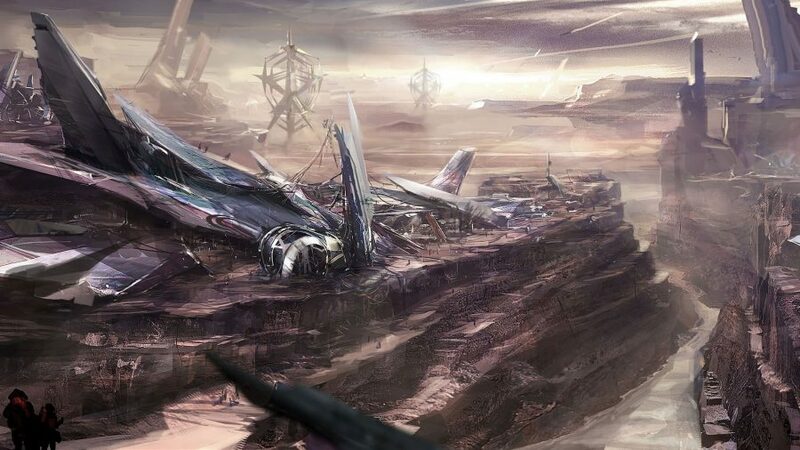 The studio is building Project C, a wildly ambitious MMO about colonising, farming, and co-existing with the living ecosystem of an alien world. 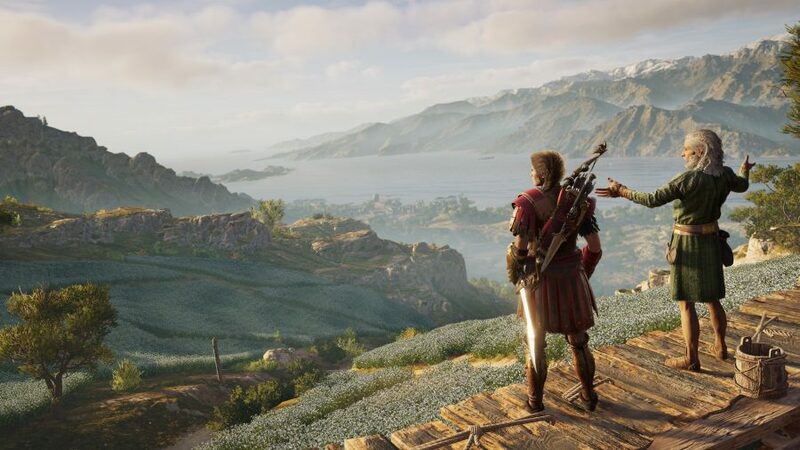 In the game’s fiction, that world has been biogenetically engineered by a previous occupant – and biogenetic engineering is rather like what the studio has been doing itself, designing the systems which determine the placement of rivers, mountains, trees, and rocks. Though we haven’t seen a single screen of it, it’s already a technological marvel with design chops to match – Viktor Antonov, art director of Half-Life 2’s City 17 and Dishonored’s Dunwall, has taken up worldbuilding duties here, conceiving a planet worthy of the tech. Project C is rooted in not one, but two, crucial pieces of third-party tech. The first is Unreal Engine 4, the tool used to create a huge proportion of contemporary games that provides access to all the lessons Epic Games’ engineers have learned, from the early graphics innovations of the titular Unreal up to the 100-person player count of Fortnite. The other is SpatialOS, the cloud technology developed by Improbable that essentially takes the lid off online games. Where previously many MMOs have been restricted by the limitations of a single server, SpatialOS functions like a quilt of interconnected cloud servers, promising enormous scale. Cloud computing, too, allows for the kind of persistent changes that have been missing in most MMOs over the decades – enabling permanent consequences and organically evolving worlds, systems we more often associate with offline games. These two pieces have been fused together in the SpatialOS Unreal Game Development Kit, which is designed to let any developer familiar with Unreal Engine 4 unlock Improbable’s innovations. That new scale introduces a new problem, which is filling it. “You have so much power to run a gigantic, very deeply simulated world,” Charbit says. “But you still have to make the game. You have to create that living and breathing world. Without any tools, you can’t do that, and there is no tool off the shelf. Ashes of Creation is another wildly ambitious MMO built in Unreal Engine 4. Its economy will be built and run by players, rather than the developers. 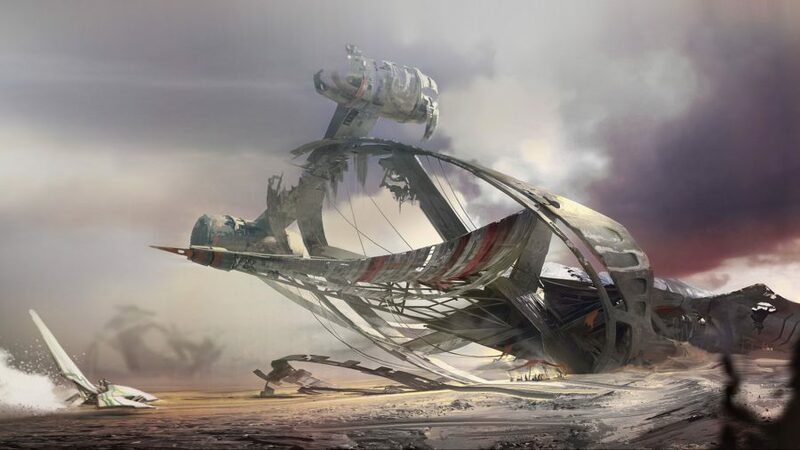 For the first time, Antonov is designing a world that can be built with procedural tools – defining an overarching ruleset for the planet’s design that will trickle down through its tech. Darewise’s 25-strong team has created custom tools for environment art, as well as AI and population management for the planet’s local fauna. Once the studio ramps up to triple-A size, it should be operating at maximum worldbuilding efficiency. For Antonov, it’s not a compromise but a natural extension of the design logic he’s developed for games before – and has satisfying thematic echoes in the game itself. Once that world is built, it will be populated with life – and that’s another area where cloud computing has Charbit excited. Project C, as nebulous as it is right now, is already free from the restraints that triple-A games that dabble in simulation have come up against. Thanks to cloud computing, every entity in the world can have its own life and behaviour that persists independently from the MMO’s players. Project C has a closed alpha planned for April 2019. Unreal Engine 4 development is now free. In this sponsored series, we’re looking at how game developers are taking advantage of Unreal Engine 4 to create a new generation of PC games. With thanks to Epic Games and Darewise.